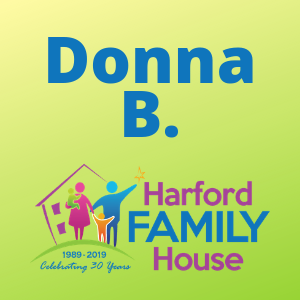 My HFH Story: Donna B. When HFH took myself and my grandson in 7 months ago, I was very afraid and depressed. At that point, we were homeless and I could not see any future for us, especially for him. I felt hopeless, defeated and like a failure. I had no job, no money and was one month away from having my car repossessed. I had never in my wildest dreams EVER thought we would be homeless. That just wasn’t me or who I thought I was. My case manager at Harford Family House is so supportive and encouraging. From the beginning, she always had hope for us. Everyone at HFH have always made us feel welcomed and anything we needed was offered to us. They all made us feel like we were with family and we were home for now, until we were able to move on. Seven months later, I have two jobs, my car payment is caught up, I am working on a budget, my grandson is thriving and we have the things we need for a comfortable life. Things that some folks take for granted! I have also made many new friends and we are happy and looking forward to our future! I believe Ms. Robin said, ‘Homelessness is a phase of life, NOT a way of Life’ and I find this so inspirational because homelessness did happen to me, but it doesn’t always have to be, things CAN change! I see first-hand the donations that people bring and it always amazes me at how generous and kind people are, so maybe I needed to be on this journey so I could again remember people ARE good! My favorite memory at Harford Family House? Watching my grandson ride his new bike he got for Christmas and seeing the happiness on his face. Thank you from the Bottom of my Heart! 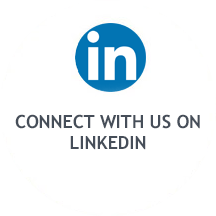 Are you interested in sharing your HFH Story? It’s easy! Simply fill out this form and we’ll do the rest!